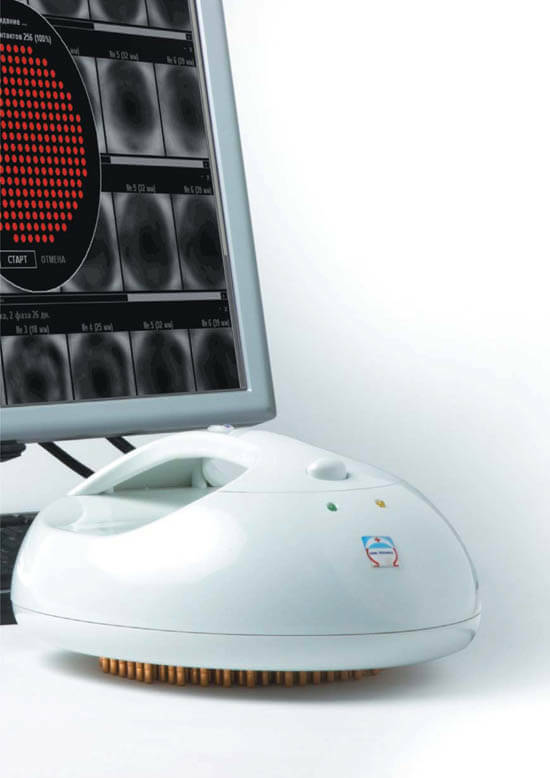 The new medical device electrical impedance mammograph MEIK is designed for early discovering of pathologies of the mammary glands. The oncological pathologies of the breasts are permanently in the center of attention. The reason is the ceaseless growth of oncological diseases of breasts followed by high mortality of female patients with the breast carcinoma. During the last 15 years has the breast carcinoma moved from the fourth place to the first place in the structure of oncological pathologies. Each fifth woman with the carcinoma of the breast is deceasing. The success of the medical treatment depends on the stadium of the development of the discovered cancer process. Identification of the carcinoma or other pathologies of the breasts as early as possible can lead to a significant mortality reduction of women. At the present the most used method of breasts diagnosis is the radiological RTG mammography. The actual examination and also the method are connected with many complications, trouble and accessory effects for the female patient. It´s mainly about the actual process of examination, where the breasts are pressed between two metal plates, what is painful enough. The breast will be then treated with RTG radiation. But many experts think that even small doses of RTG radiation could initiate cancer growth by specific patients. The efficiency of classic RTG mammography is very low by younger female patients (under 40 years). 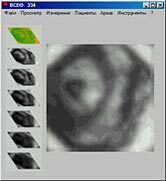 The reason is the higher density of the soft tissue in the breast.Research in the area of technology of electric impedance opened new perspectives in research of electrical conductivity of human tissue. 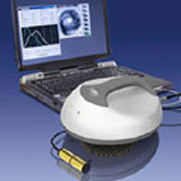 The electric resistance of the biological tissue (conductivity) belongs between it´s main characteristics.The last scientific research in the area of conductivity utilised the electroimpedance of biological tissues for the construction of the electrical impedance tomography (EIT) - mammograph, which is able to visualize the soft tissues in the human organism. Changes of the physiological status of organs under the influence of chemical and physical factors as well as other pathological processes have a clear influence to the electrical properties of the tissue. The electroimpedance tomograph (mamograph) is able to visualize the physiological status of the tissue, then also organs, which are defined through biological processes in the organism, especially those, which are manifested through the change of the electrical conductivity, as for example tumor processes.The output from this device is a graphic and digital information (electrical conductivity, impedance and histogram) about the status of organs and tissues.The examination is absolutely secure for patient and also for the operating staff. It can be repeated without limitations which is very suitable for judgement of the treatment influence on the status of the pathological process, especially by oncological patients.Electroimpedance diagnostic method doesn´t show any side effects on the live organisms. This method is absolutely secure. The single measurement of the electroimpedance will be carried out with the apposing of the measure probe of the device to the breast so, that as much as possible the number of small electrodes are in contact with the skin. Nearby one measurement lasts approximately 20 seconds and the signal will be successive elaborated and visualized. 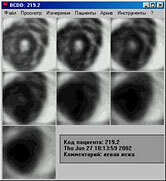 The computer elaboration of the signal clearly ease doctors to distinguish the single pathologies and following to determinate the diagnosis by the examined female patient. The chart output from the electroimpedance mammograph make it possible to observe the status of the measured tissue of some seven transversal cuts deep until 4,5 cm and observe the output parameters separate for each stratum. Through the combination of examinations with help of electroimpedance mammograph, microwave radiometry and sonography it´s possible to reach a maximal reliability exactitude, specificity as also sensibility of the diagnostic method of the carcinoma of milk gland (breast), but also other organs of the human body.